Harley Davidson Road King, CVO, Softail, detachable fairings. Now you can have custom styling options, while keeping the "factory look". 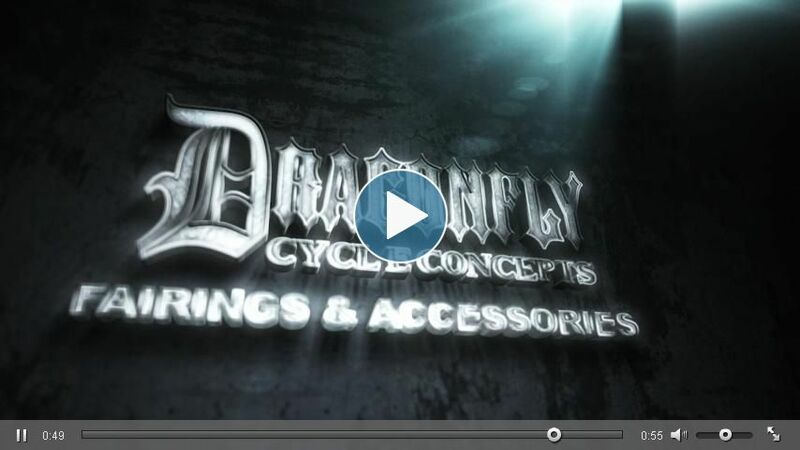 Dragonfly Cycle Concepts' Detachable Fairings keep the wind out your face and superb sound quality in your ears. 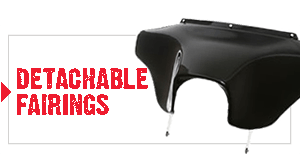 Dress up your new detachable fairing with a stereo package! 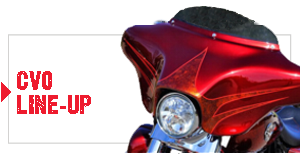 The fairing accessories and stereo accessories are endless, and all original equipment compatible! Already have a fairing? 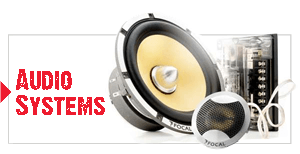 Let us upgrade your current stereo system and get "clear surround sound" on your bike. Or get a chopped tour pac or saddle bags. Make your bike the envy of the street! "Your company has an amazing reputation for quality. People either love your stuff cause they have it. Or they know it will be your stuff when they do buy it. I am so stoked!!!!!!"